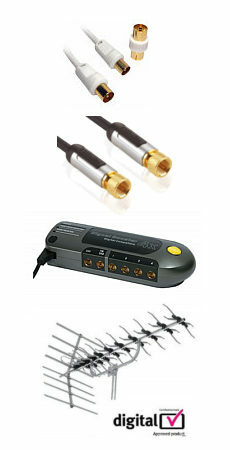 Connects a VGA equipped PC, Laptop or DVR etc to a monitor, television or projector. Nickel plated shell with gold plated contacts. Triple shielded with foil, braid and drain wire. Ferrite suppressors fitted both ends. Fully wired to allow DDC data connection. 3m DVI Lead 3m Dual Link DVI-I Cable. 3m DVI lead, dual link cable supports analogue and digital video. 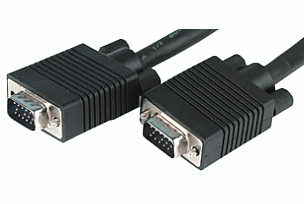 Male to Male DVI monitor lead. DVI-I Male 24+5 29 pin connector each end. Nickel plated connectors. Ferrite supressors for RFI rejection. Colour black. Length 3m Please note that DVI-I cables are 29 pin DVI cables, they will not plug into DVI-D 24 pin sockets.